Chennai - Indicating that there were no more production orders for employees to work for at its Sriperumbudur unit near here, Taiwan-based electronics parts maker Foxconn on Thursday said it has completed them and all its employees were placed on "paid-holiday-leave" status. "FIH Mobile confirms that employees at our India operation, FIH India Private Limited in Chennai, have been placed on paid-holiday-leave status from December 22 as that facility has completed all of its production orders", the Taiwan based firm said in a statement. In what apparently is Microsoft's biggest licensing deal thus far, the company has worked out a patent-licensing agreement with Hon Hai Precision Industry, the parent company of Taiwan's Foxconn which manufactures nearly 40 percent of the world's consumer electronic devices. Internet giant, Google has entered into a partnership with Foxconn Technology Group to start manufacturing digital eyeglasses in the US. The new digital eyeglasses will be designed by Google and will feature software and cameras, according to some sources closer to the matter. The Foxconn Technology Group is Taiwan is likely to produce the glasses at its plant in California in US. It is believed that Google working to develop the glasses under the `Project Glass' that is backed by company co-founder Sergey Brin. According to a Wall Street Journal (WSJ) report, citing unidentified sources "familiar with the matter," Apple is testing "a few designs" for a large format HDTV; thereby leading the analysts to the speculation that the first Apple TV set may likely become available towards the end of the year. As per the WSJ report, based on the information shared by sources in Asia, Apple is apparently testing large format HDTV designs with its component suppliers - Sharp and Hon Hai Precision Industry (better known as Foxconn). 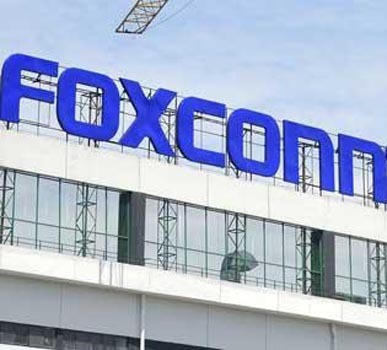 A new DigiTimes report - underscoring what apparently is the latest rumor about the Chinese Apple devices assembler Foxconn - has revealed that Foxconn is apparently planning to set up factories in the US. According to the report, citing the information shared by `market watchers', China-based contract electronics manufacturer Foxconn is currently evaluating a few US cities - including Detroit and Los Angeles - for at least one potential site for its plant. According to a Reuters report, Foxconn Chairman Terry Gou told the media after a Wednesday business forum that coping with the overwhelming demand for the popular Apple iPhones was becoming increasing difficult for the company’s flagship iPhone- and iPad-assembler Hon Hai Precision Industry, which is the main listed entity of the parent Foxconn Technology Group. With an earlier report from independent non-profit organization China Labor Watch (CLW) having revealed that underage interns have been employed by Foxconn, the company has now acknowledged - on the basis of the findings of an internal investigation - that interns as young as 14 years were working in its factories assembling Apple's iPhone 5. According to a Wall Street Journal (WSJ) report, it has been recently confirmed by Foxconn - the biggest component maker in the world; and the chief manufacturer of the iPhone 5 - that two disputes, involving its employees at a Chinese production plant, had taken place earlier this month. As per the WSJ report, Taiwan-based Foxconn said in the confirmation of the disputes that the factory line workers and quality assurance personnel at its Zhengzhou factory were involved in a brawl on October 1 and October 2. Within weeks of the launch of the much-awaited iPhone 5, Apple has reportedly run into a problem of sorts, with thousands of workers at Foxconn's iPhone-manufacturing Zhengzhou plant in central China going on a strike on Friday. According to a Saturday report by rights advocate group China Labor Watch (CLW), it was on Friday afternoon that 3,000-4,000 employees at the Foxconn's Zhengzhou factory went on strike; thereby paralyzing the production of iPhone 5, which is already hit by supply constraints. A number of late-Sunday online postings revealed that a brawl involving thousands of employees of the Foxconn Technology Group factory in Taiyuan, north China, had led to a violent disturbance at the plant; with Foxconn forced to shut down the facility. The pictures and videos which were posted online showed smashed windows of the buildings, overturned police cars, and huge crowds of people; thereby hinting at a riot at the factory which is owned by Taiwan-based company, Foxconn - the leading component-manufacturer for the Apple iPhone 5. Taiwanese newspaper Economic Daily News has revealed in a recent report that assembler Pegatron will manufacture the majority of the much-anticipated smaller version of the Apple iPad - the iPad Mini. Noting that most of the iPad Mini production will be done by Pegatron instead of Foxconn, the Economic Daily News report has specified that 50-60 percent of the production orders for the iPad Mini have been secured by Pegatron; with the production of the tablet having already begun or likely to commence soon. With a recent New York Times report - citing information sourced by two worker advocacy groups - highlighting that vocational students were being forced to work at the Foxconn Technology factories manufacturing components for the Apple iPhone, the Chinese company has, yet again, come under scrutiny for contentious labor practices. According to a new auditor, Foxconn Technology Group is violating Chinese labor laws at its factories in the country where it produces Apple devices. Interestingly, the assessment comes days after Tim Cook, Apple's chief executive visited the facility. The company said that it will reduce working hours and significantly increase wages at its factories. An auditor of the Foxconn Technology Group has claimed that the company, which is the largest producer of Apple devices, is in violation of the Chinese labor laws. Responding to the latest claims, Foxconn decided to reduce working hours and give employees more oversight at the facilities. The monitoring group said that the investigators found at least 50 breaches of Chinese maws by the company. It was interesting also found in violation of a code of conduct that was signed with Apple. According to a report from Chinese news site, the recent in news-making firm, i.e. the electronics manufacturer Foxconn is closing its China-based factories-including the Shenzhen location which has been dissected for rampant employee suicides. The recent move indicates that up to 800,000 workers would lose their jobs and several families will have to find an alternative to feed themselves and their children.